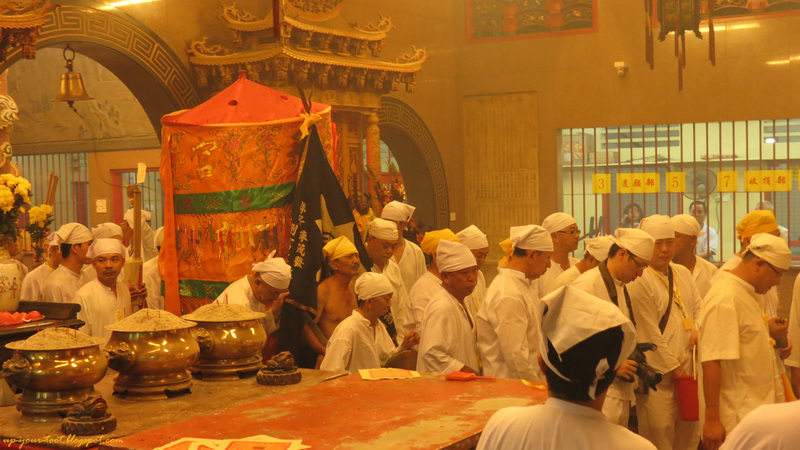 The procession to invite the Nine Emperor Gods is another highlight of the Nine Emperor Gods Festival. 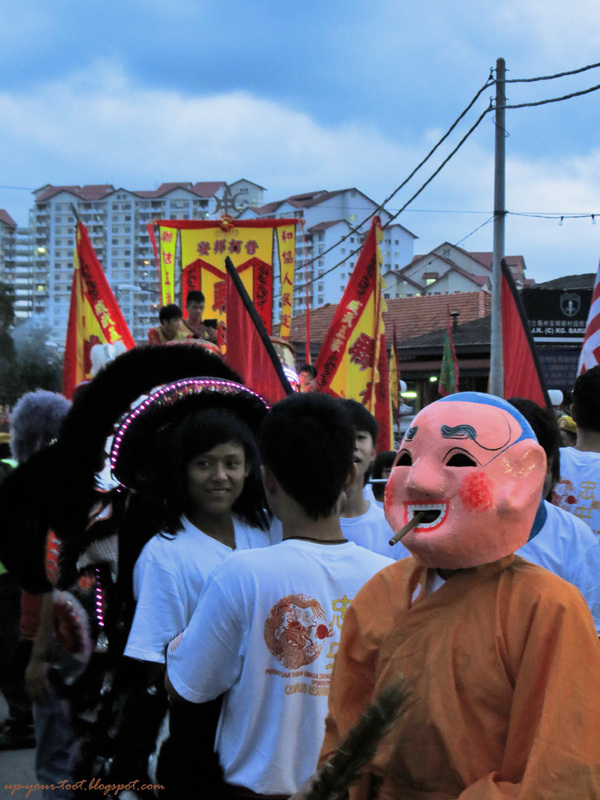 Here in Ampang, this event started around 5pm, with the rousing drums and cymbals of the lion and dragon dance troupe that take turns to make the necessary obeisance before joining the queue for the processions. 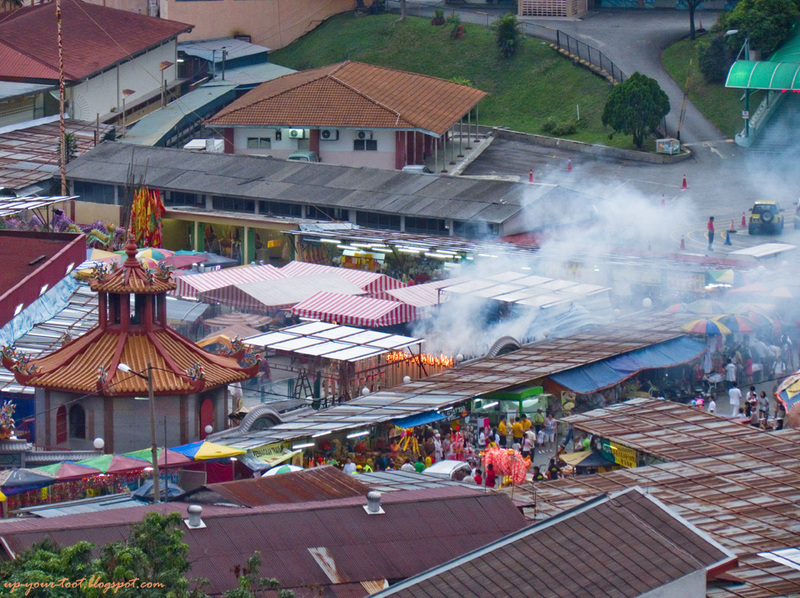 At the same time, more and more dragon joss-sticks and long joss-sticks get lit in the open area, resulting in wafts of smoke that billow pass the temple. 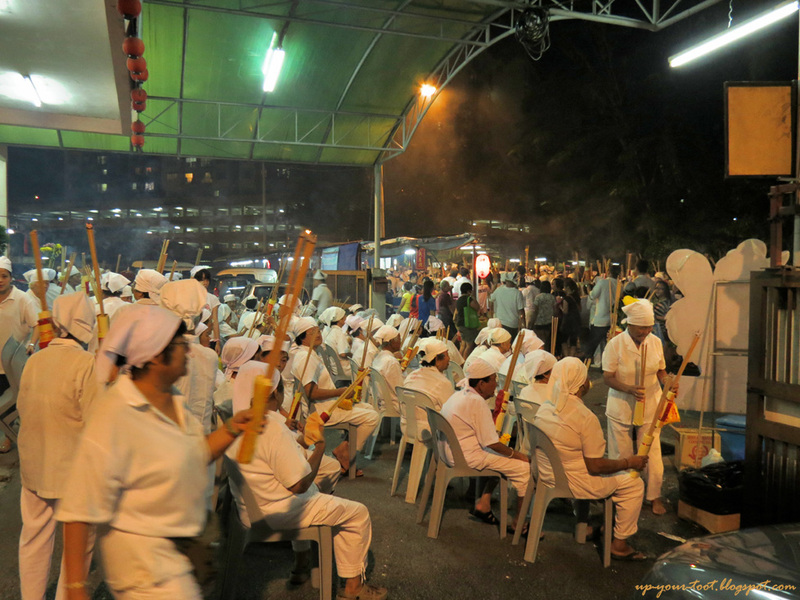 The joss-sticks were lit with the accompaniment of dragon and lion dance drums and cymbals. Other than the dragon and lion dancers, this processions consist of a few floats, stilt-walkers dressed as characters from Chinese folk tales and mediums in trance representing Chinese deities like the Monkey God, Ji Gong, Guan Yin and Guan Di. Smoking endangers your health and will make your head swell into a shiny, pink-coloured ball, give you funny eyebrows and blotchy cheeks and a silly grin. 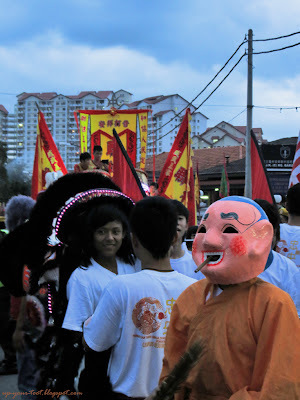 So there you go, another reason to stop smoking - the lion and dragon dance troupe getting ready for the procession. 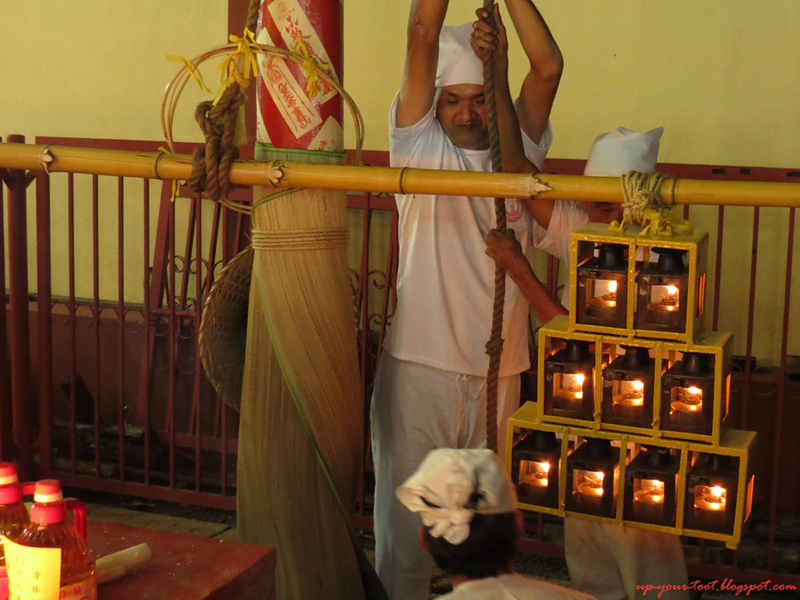 When the magic hour draws near, the drums and bells in the temple would sound, as the temple mediums get ready together with the volunteers who will carry the 3 sedan chairs for the Emperors on their trip back to the temple. To see more photos of the invitation ceremony, do visit Cheryl Hoffmann's site as she got a special invitation to be there at the invitation site by the river. The urn with the Urn Master and Assistant Urn Master under the yellow umbrella leaves the temple escorted by the medium in trance and a huge entourage of devotees to pick up the Nine Emperor Gods. The sedan chair precedes them in leaving the temple. I will post a video once I am done editing it. For devotees who are unable to walk the entire procession route, there is a designated spot just a few paces down the road where they can wait for the return of the procession so that they can rejoin the group. And the seats are at....(drum roll please) Ampang Old Folks Home - Hmm, not too subtle if they are trying to hint at that those who wait there are...old. By the royal decree of the Nine Emperor Gods', let there be light...Hah? Candlelight only meh? No disco lights or strobe lights ah? How to party?? 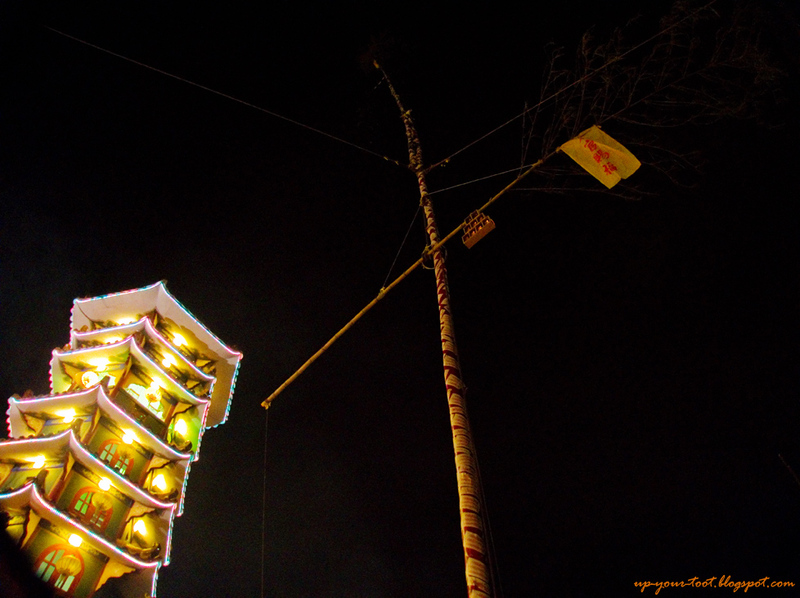 When the Emperors are safely back in the temple, the 9 lanterns are lit and then hoisted up high on the lantern pole that was raised earlier this afternoon. 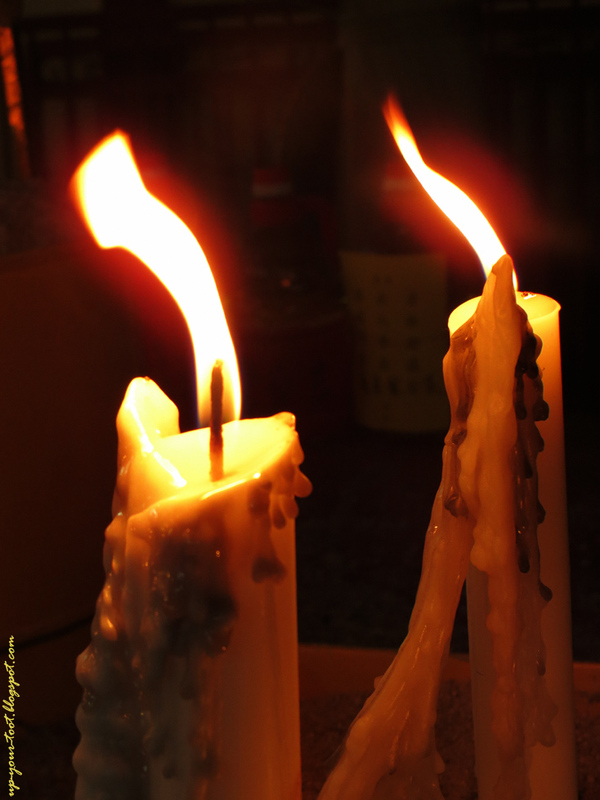 So for nine days, the lamps will be constantly kept lit. This is similar to the practice of having a royal standard/flag raised in the palace grounds when a monarch is residing within the palace. 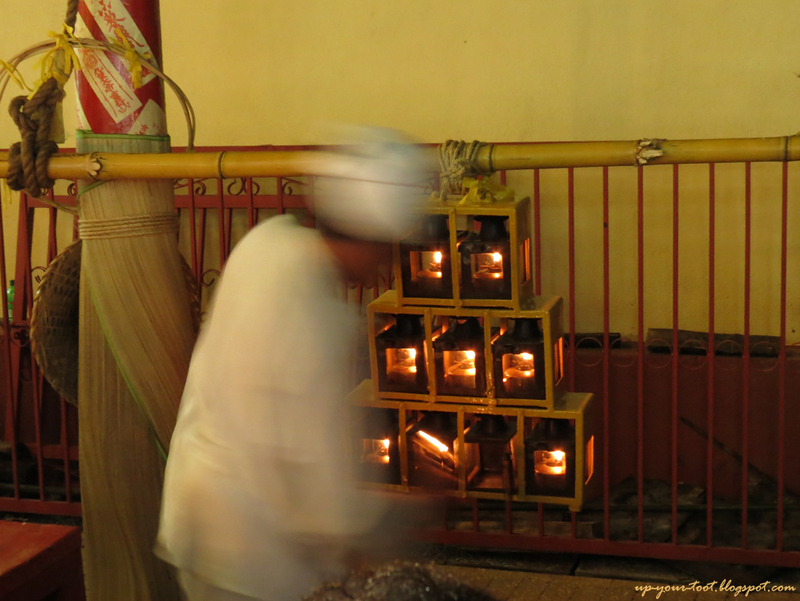 After the arrival of the Emperor Gods at the temple, the nine oil lamps are lit. Heave ho...and up you go. Ladies and gentlemen, boys and girls, the Nine Emperor Gods are in da house, yeah! So let the party begin!